Our Blog introduces project ideas and images from the Guild Anderson design studio and workshop, as well as featured press articles. In this our new website, we will be introducing topical discussions from our professional colleagues in the design and construction industry. 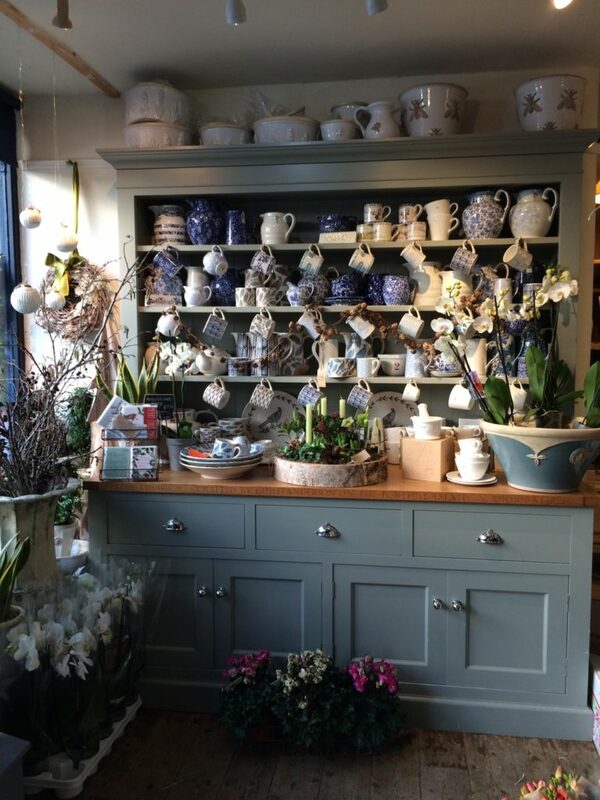 Pictured is a beautiful bespoke country house dresser from the Guild Anderson Furniture workshop, bedecked for Christmas at Ted Martin’s flower shop in Tisbury. We have lent Ted this dresser for her shop to showcase her chinaware as well as the quality of our work. 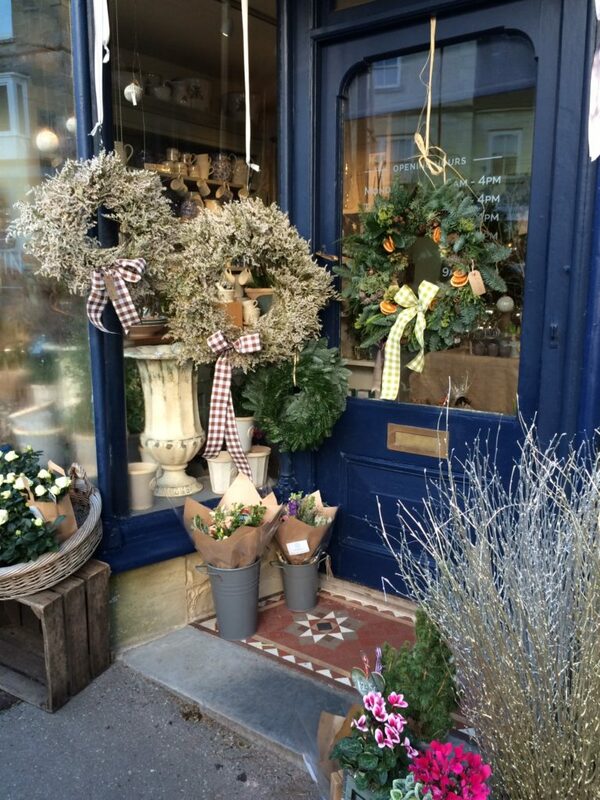 Please stop by and have a look when you’re next visiting Ted’s award-winning florestry. A typical cabinetry commission from Guild Anderson will often include an integrated or free-standing handmade dresser for the kitchen, alongside furniture for the laundry, pantry or any other room in the house – boot room, study, bedroom, bathroom, library, field sports or wine cellar. As ever, 2017 has proved a busy year for the Guild Anderson Furniture. This year saw the move by the design and office team to bright new offices at 22 Grosvenor Drive, Tisbury. Our new Design Studio provides a creative place to meet with clients. With all our furniture made on site (rather shipped from overseas like many larger, ‘bespoke’ companies), as always, the Guild Anderson workshop is available for clients to visit by appointment to see their cabinetry being made. Hoping 2017 has been a good year for you and, from everyone at Guild Anderson, we wish you a very Happy Christmas and the very best for the New Year.